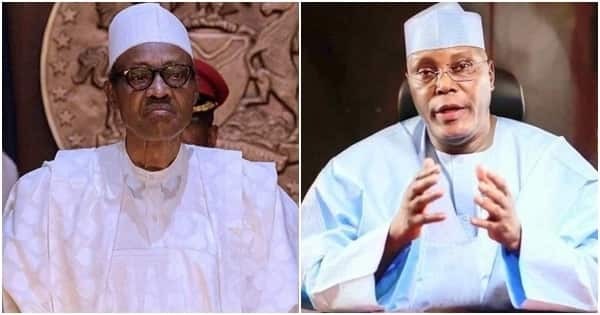 Alhaji Atiku Abubakar, the Presidential Candidate of the Peoples Democratic Party (PDP), has said President Muhammadu Buhari’s denial of the continued threats of the Boko Haram insurgency has made the demand for a mental test for all presidential candidates imperative. Atiku, in a statement issued yesterday by his media adviser, Paul Ibe, also faulted Buhari’s declaration at the Uyo All Progressives Congress, APC, rally that he has fulfilled all his election promises. He said: “The most blatant insult from the President was his assertion in Uyo that ‘we have defeated Boko Haram’. ‘’It was most insensitive of the President to have said such on a day that foreign and domestic media reported the entrapment of our gallant troops by Boko Haram/ISWAP in Baga, with as much as 700 hundred reported missing. “Even more indicting is the statement from the US-based International Strategic Studies Association, which revealed that the Boko Haram insurgency was lingering due to the massive corruption around President Muhammadu Buhari. ‘’How would those soldiers feel, how would their families feel, how would their colleagues in the barracks feel when they are facing a life and death situation and their commander-in-chief is impervious to reality? “Faced with such delusions and obvious denial of reality by President Buhari, it has become expedient to revisit the demand by the Coalition of United Political Parties for all Presidential candidates to submit themselves for a mental health test because clearly someone has badly lost touch with happenings around him. “We declare that Atiku Abubakar is prepared to undergo such test and challenges President Muhammadu Buhari to accept CUPP’s challenge. “And, for the umpteenth time, we call on President Muhammadu Buhari to come clean on the faceless people behind Keystone Bank and Etisalat. Nigerians deserve to know how people who used to beg for ¦ 2000 transport money, as revealed by Buhari’s right-hand man, Buba Galadima, are now suddenly wealthy enough to acquire multi-billion dollar investments. “Ironically, a day before the President made that statement, it was revealed that the number of Nigerians living in extreme poverty had increased from 87 million to 90 million in just 4 months. Going by that sharp rate of increase, the whole country will be in extreme poverty if Nigerians make the mistake of re-electing Buhari. “Except the President made a vow to impoverish Nigerians, it is hard to see how he could have fulfilled his promises with such pervasive poverty and hunger in the land.